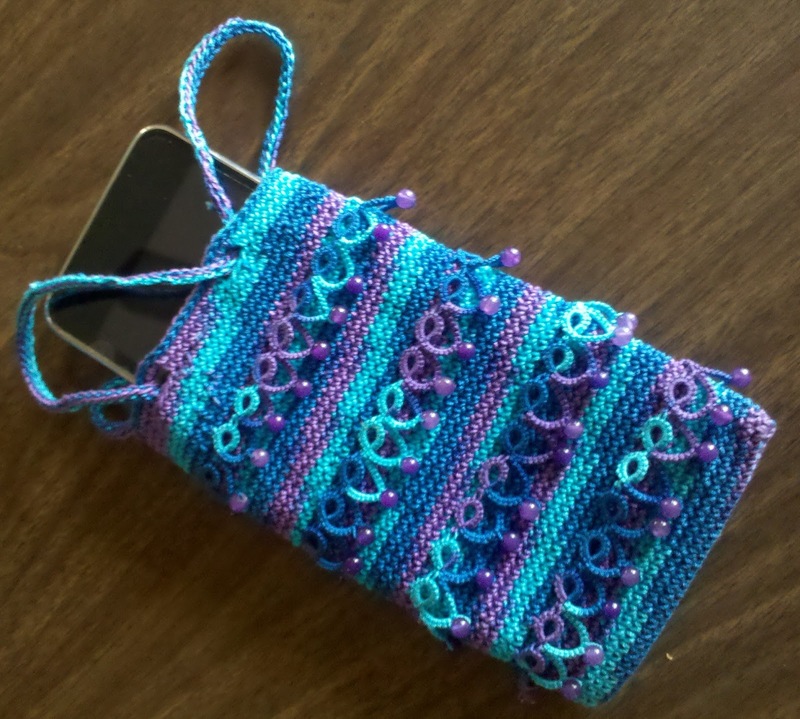 It's been forever since I updated this blog, well, not forever, but about three months. 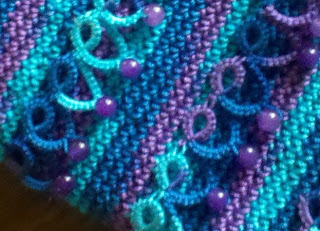 After the Christmas season I found I needed a bit of a break from fibers, and apart from a few small projects I was not too active. 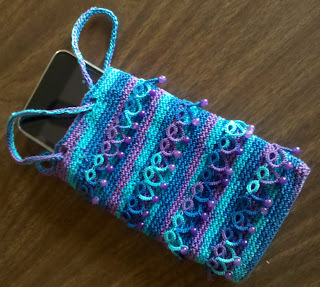 So now I'm back at it and decided to come up with a little smart phone pouch that combined crochet with some tatted lace adornment ... so here it is! 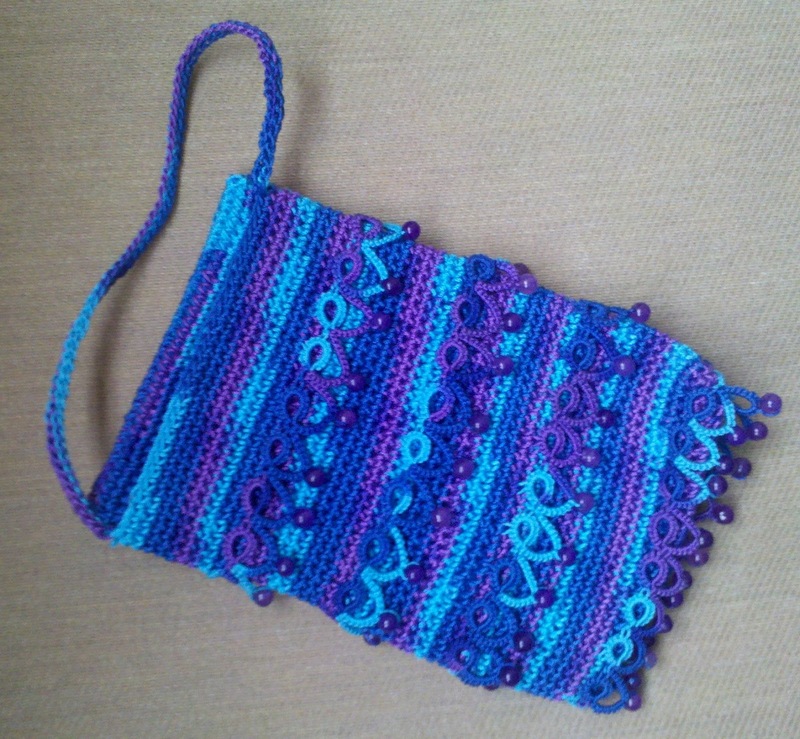 In the beginning: I used Lizbeth 10 (Caribbean) for the pouch itself and Lizbeth 20 for the tatted trim. The beads are amethyst. 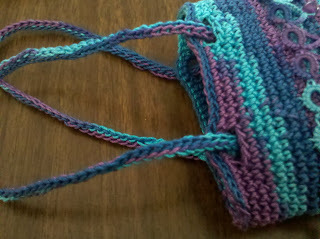 The trim was attached as I went along by crocheting directly to the pouch. 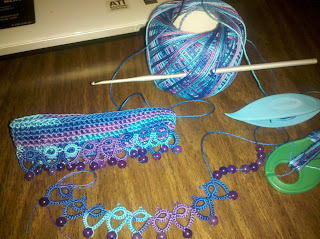 I had just enough of the amethyst beads that I could do four rows of trim. Once I complete the bag, however, I didn't' like the placement of the first row I had joined (the one at the bottom), nor did I like how I had finished the closing at the top, sooo... I ripped it all out!! Here's the redone version with better placement of the trim and a new closing at the top. Detail of the closing. 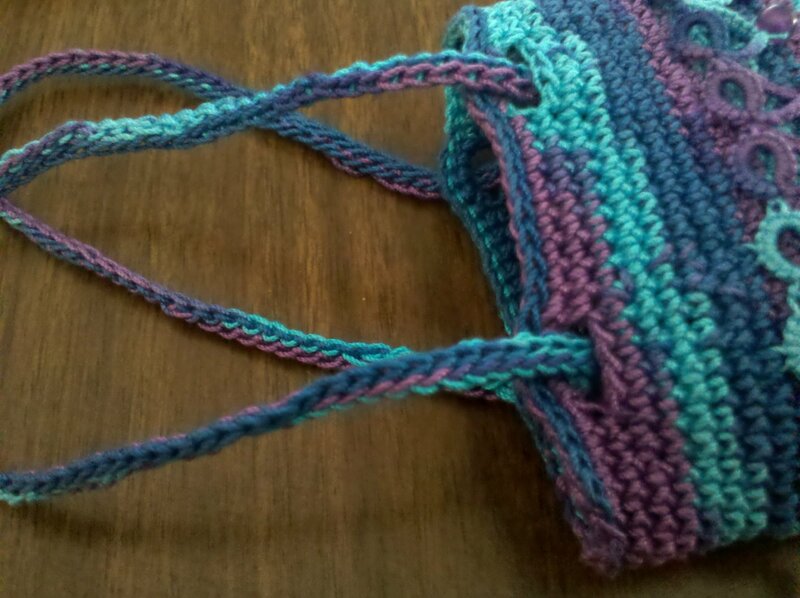 The strap was done in crocheted slip stitch, three rounds (which I threaded through the openings in the pouch as I started the second round so that I could crochet continuously. The strap is long enough to go over the wrist when it's drawn up tight and securely holds the phone in place. 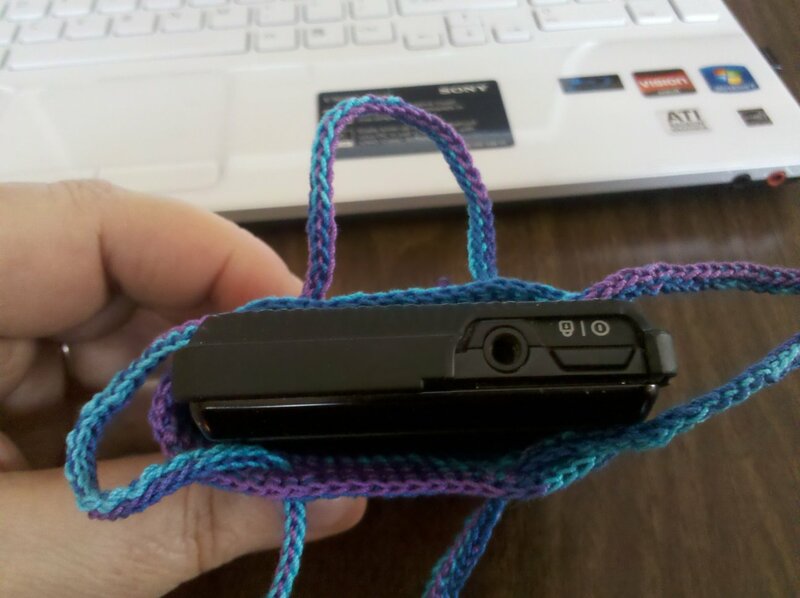 By moving the inner part of the strap aside the phone easily slides out. 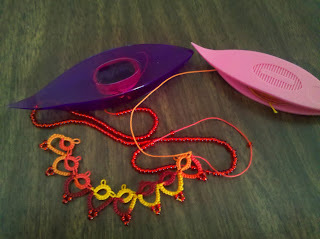 I tend to experiement with different ways of closing that don't involve too much sewing.... 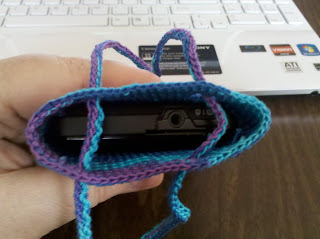 I'm a horror at putting in linings and zippers, but I have done it on occasion. I'm happy with the result of this one overall and I've started the next! Once again I'll use a combination of Lizbeth 10 for the pouch itself and this time size 40 for the tatting. Here's a sneak preview! Hues of orange, red and yellow for the next one with red seed beads.